This project is called “Pilot Impact Assessments on Gender from the A Luoi Hydropower Plant and Srepok Hydropower Plant in the 3S River Branches of Central Vietnam and Central Highlands”. It was carried out by the Centre for Social Research and Development (CSRD) on behalf of Oxfam International. This assessment is one of the first efforts in Vietnam to apply the practice of gender impact assessment to hydropower development. It uses tools referenced primarily from “Balancing the Scales: Using Gender Impact Assessment in Hydropower Development” (Oxfam International). Rather than being a final product, the assessment is a learning process which aims to maximize the benefits to the different stakeholders, to enhance understanding, and to promote best practice. The selected sites are affected by the Srepók 3,4 and 4A hydroelectric power plants which have been built on the Srepók River in Buon Don District, Dak Lak Province. Group discussions were conducted with villagers from the Srepok 3 hydropower resettlement site in Tan Phu village, Ea Noul commune, and communities affected by the Srepok 4 and 4A hydropower dams in Tri A village and Ea Mar village, Krong Na commune. These two villages both have a matriarchal social model so are of particular interest for gender research. This assessment describes the different roles, impacts and needs of men and women in the studied communities and the division of labour. With hydropower development on the Srepok River, it is now much more difficult for women to achieve a full economic, healthy and spiritual life, even in the matriarchal communities. The main reason is that these energy projects favour technology and they build “hardware” and are less focused on solving social problems and mobilizing community participation, and are less aware of gender issues. 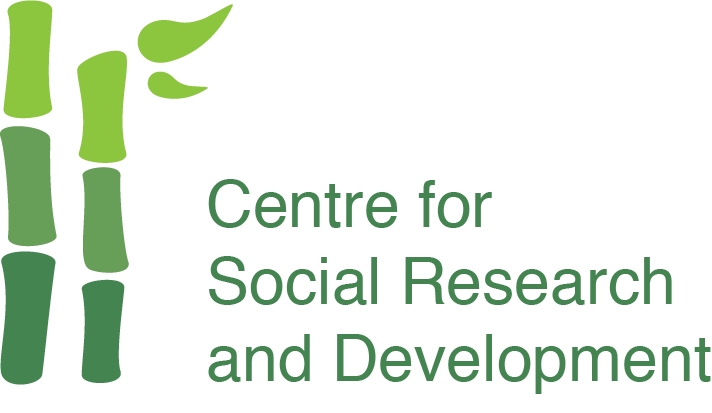 The Centre for Social Research Development is implementing projects related to environmental protection, mitigation of climate change, advocacy for disadvantaged communities, poor communities and vulnerable people in order to save resources for the future. Trung tâm Nghiên cứu và Phát triển Xã hội triển khai thực hiện các dự án liên quan đến bảo vệ môi trường, giảm thiểu tác động của biến đổi khí hậu, nâng cao nhận thức cho cộng đồng đặc biệt là những cộng đồng nghèo, cộng đồng khó khăn và dễ bị tổn thương hướng đến tiết kiệm tài nguyên cho tương lai.